Furniture is our most costly home decorating expense, but there are many ways to make your furniture the star of the show, without breaking your budget! Here are my top 5 furniture fixes on a dime! * Paint. Ok, that’s an obvious one, but did you know you can paint anything these days? Yes, even that hideous laminate bookcase from 1974. 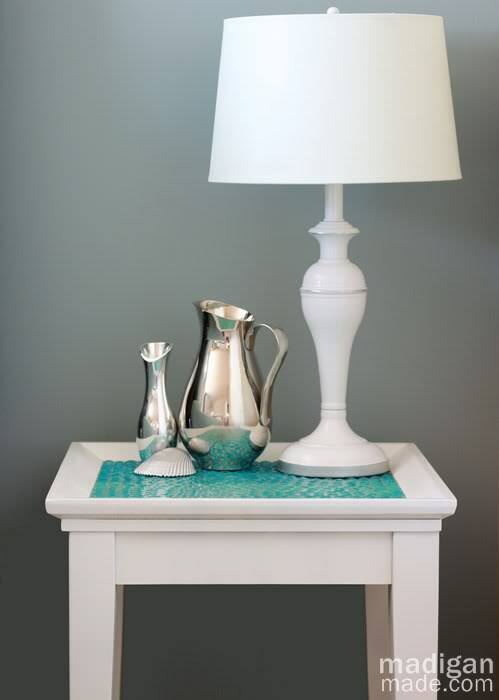 All you need is a primer made specially for non porous surfaces for a cool furniture makeover. I recommend Kilz Original or BIN primer. 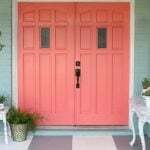 A coat or two of good primer, and any surface can be ready for paint, from tile to plastic to fiberglass. Now paint with interior enamel, and you have an ugly duckling transformation in an afternoon! * Slipcovers. Now making your own slipcovers is possible, there are several patterns available at your fabric store to help you in measuring and sewing them. However, it is no small task. Another option to fixing up worn upholstered furniture is using the art of disguise. Drape a pretty quilt over the back, or cover just the bottom cushions in envelope style covers, in a coordinating color or print. 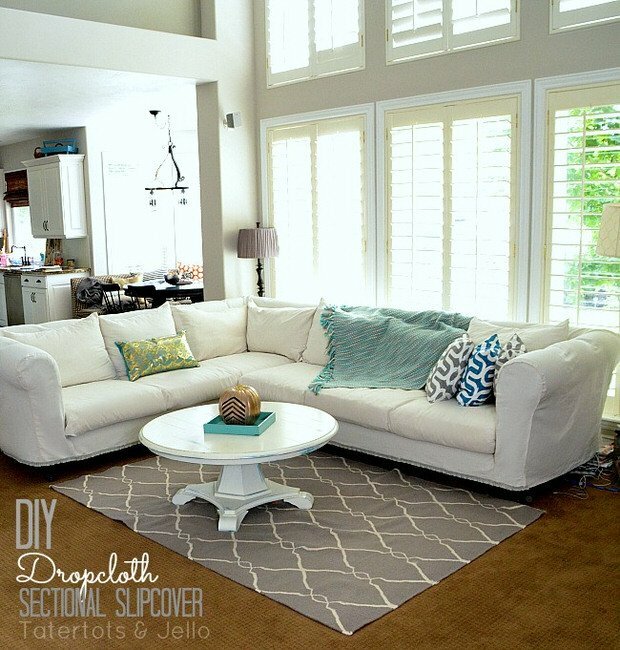 Add throw blankets draped casually over each end of the sofa or chair. Add comfy throw pillows along the length, and by the time you’re done, people will only notice the accessories, not the piece itself. Dining chairs with removable seats can be recovered with fabric and a staple gun, or a small cushion with a skirt can be made to hide the seat and legs. You can make simple slipcovers that look similar to a regular pillowcase to slip over the back of a dinged up ding chair as well. Learn to make slipcovers from drop cloths at Tater Tots and Jello. * Add character. Sometimes our furniture is in good shape, but is simply a bit boring. 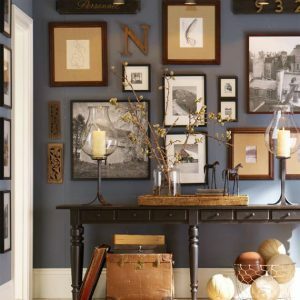 Add some wood molding or appliqués you can pick up at the home improvement store. 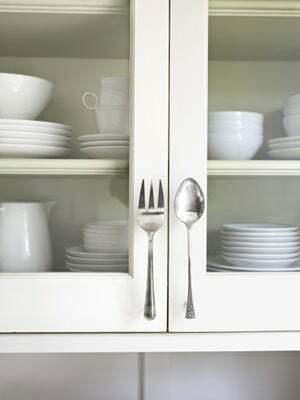 A simple line of crown molding along the top of your kitchen cabinets can take them from blah to custom. Change out the hardware…just pick up cheap wood knobs and paint them for a one of a kind look. You can also make your own drawer pulls out of just about anything…old silverware, twigs, even toy cars! Just use your handy drill and attach a screw. 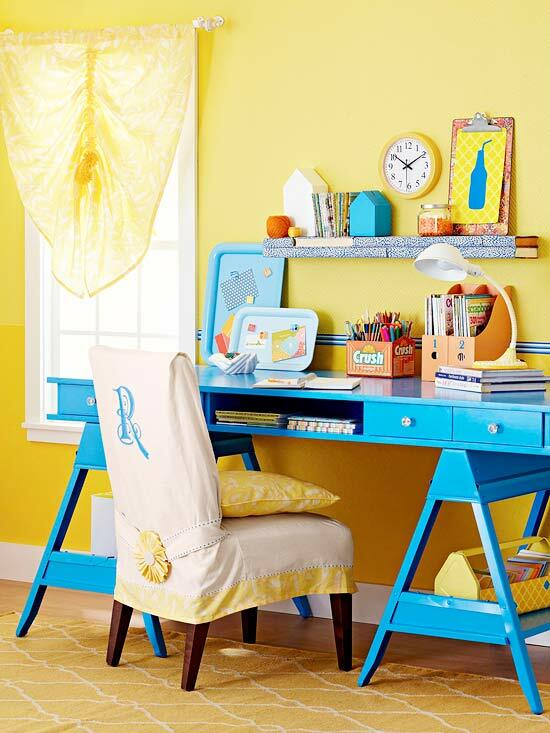 Paint the inside of bookshelves an accent color, or add a skirt to a leggy table. * Add tile. You can sometimes get broken tiles for free from a flooring shop and you can break them further and attach them to a dresser or chest in a mosaic pattern. Add a little grout and you have a one of a kind piece, for next to nothing! You can also just add one tile on the diagonal to the front of each drawer or cabinet front. You can even drill through the tile with a ceramic bit and add the drawer pull right over. Learn an easy table tiling project at Madigan Made. * Finally, consider adding personality and family to your pieces. 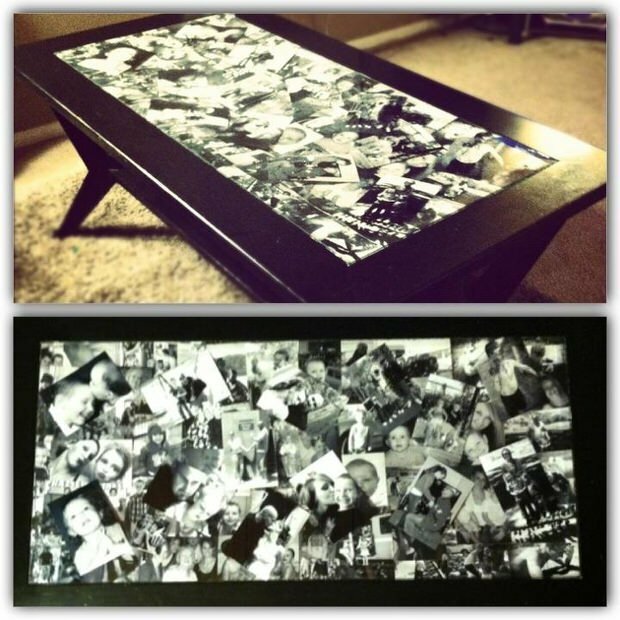 Cover your scratched coffee table with a sheet of beveled glass, and slip under all your family snapshots. Make photo copies and decoupage them onto your worn out work desktop with some white glue or decoupage medium. Frame your kids masterpieces and attach to your kitchen cabinet doors to add pizzazz. Remember, it’s not about the size of your budget, it’s what you do with it! Furnishing your house doesn’t have to mean taking out a home loan…use your creativity for one of a kind décor your family will love!